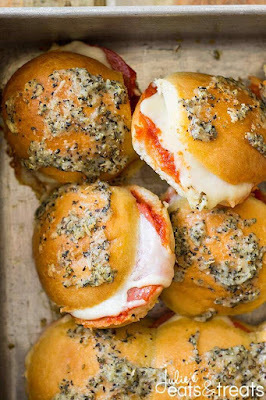 These Pepperoni Pizza Sliders are Quick, Easy and Perfect for any night of the week! Whether It Be a Game Day Appetizer, Lunch or Dinner! Your family will love this sliders recipe! 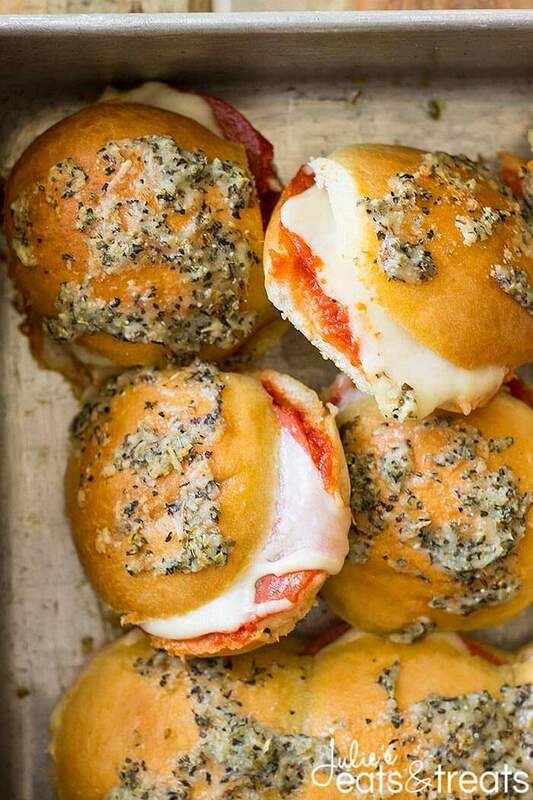 These Pepperoni Pizza Sliders are quick, easy and perfect for any night of the week! Whether it be game day or just a simple afternoon snack your family will love this sliders recipe! Preheat oven to 350 degrees F. Lightly grease the bottom of a 9x13 baking pan and set aside. Cut the sliders or buns in half and set the tops aside. Place the bottom half of the rolls in prepared pan and spread with pasta sauce. Top each roll with the pepperoni slices using as many as desired (I used the whole package). Slice the fresh mozzarella into 12 slices and place a slice on each roll. Place top half of rolls back on top. 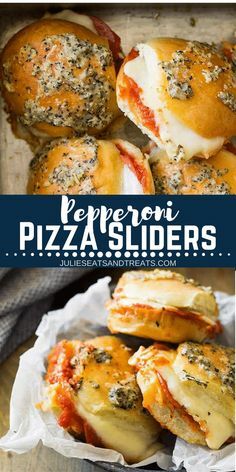 0 Response to "PEPPERONI PIZZA SLIDERS"